Whatever else Brexit might inspire, it'll be a relief when the endless barrage of high-minded movies reminding us of WWII ends. From Dunkirk to The Darkest Hour, via Their Finest and Allied, stiff upper lips haven't trembled so regularly since the 1940s. 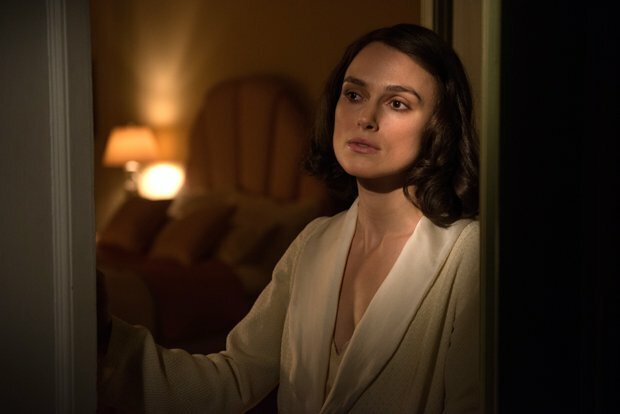 Keira Knightley has the ideal look for a neglected army wife, but the cliches featured in director James Kent's adaptation of Rhidian Brook's novel are more dog-eared than a ration book. In post-WWII Hamburg, Rachael (Knightley) and her husband Lewis (Jason Clarke), a colonel in the British Forces Germany, are mourning the death of their son. They chose a palatial house to live in, with the German owner Stefan (Alexander Skarsgård) and his teenage daughter decanted to the attic. Thoughtful, music-loving, cultured and a gifted architect, handsome Stefan is newly widowed but, with her husband preoccupied with military matters, Rachael is soon drawn into Stefan's manly arms. To describe The Aftermath as old-fashioned would be to underplay the ancient tropes assembled here. Murmuring about war being hell, Lewis wanders in and out of the dining room in full military garb as if he's just parked his Spitfire in the hallway, while Stefan glares angrily at the rude British soldier who bashes away insensitively on his dead wife's piano. Rachael alternates between fondling her dead son's clothes and sneaking admiring looks at Stefan's handsome figure as he chops firewood in chunky knits. However this might have worked on the page, it seems ridiculously shop-worn on screen. Regular unveilings of Skarsgård's impossibly chiselled and deeply anachronistic physique – suggesting his personal trainer was loitering just off-camera – are presumably the main attraction here. The climax aims to manufacture jeopardy by literally placing the characters on thin ice; they say history is written by war's victors, but there can be no winners when The Aftermath's conflict is so clumsily assembled. Screening on Tue 26 and Wed 27 Feb as part of the Glasgow Film Festival 2019. General release from Fri 1 Mar.